Rocky is like the class clown of the Rangers. Good natured, spirited, and likes to have fun. He may be low on the IQ points, but Rocky's martial arts prowess and stubbornness make him an excellent fighter and asset to the team. He first met the Rangers on a trip to Angel Grove to compete in the Ninja Competition, and helped them save a baby in danger. 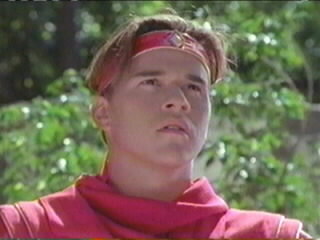 Proving himself worthy by assisting the Rangers several times, Rocky was given the power of the Red Ranger by the departing Jason. Jason used the Sword of Light to transfer his powers to Rocky. Red Ranger's power weapon is the Power Sword, a powerful weapon with a razor sharp edge. His weapon combined with the others to form the Power Blaster. 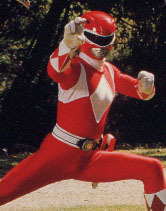 As Red Ranger, Rocky gained enhanced strength, speed, durability, and limited energy projection. 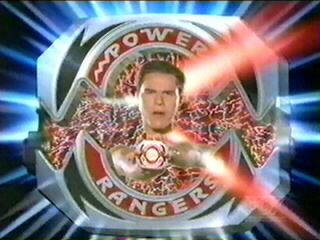 When Rocky lost his powers after Rito Revolto's attack on Angel Grove, he gained new powers with the Ape Power Coin given to him by Ninjor on the Rangers' journey to the Temple of Power. The Ape Power Coin was later destroyed by Zedd and Rita when Master Vile reversed time and reverted the Rangers to children. 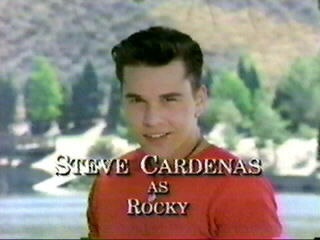 Rocky later gained Zeo Powers along with the rest, and became the Blue Zeo Ranger. When Rocky injured his back training for a martial arts competition, he sent Justin to the Power Chamber to take his place in becoming the Blue Turbo Ranger. When Rita Repulsa's brother, Rito Revolto, came to Earth, he succeeded in destroying the Thunderzords and the Rangers' powers. The six teens had to travel to the Temple of Power, where the legendary warrior Ninjor gave them all the power of Ninja. Using this power, they could all transform into the Ninja Rangers, then morph into Power Rangers and take command of the Ninja Zords. The Red Ninja Ranger has heightened strength, speed, and durability. He also has the powers of ground swimming, line of sight teleportation, phasing, multiplication, energy projection, hypnotic persuasion, and many other "ninja magic" powers. 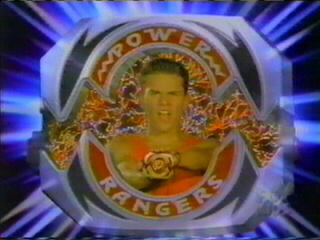 Presumably, all Ninja Rangers have the same powers, although not each one has demonstrated all of them. Rocky earned his crystal in Mexico, by bravely saving a village from an unstable volcano.